mouth; I still felt sleepy. the bedroom and smiled when he saw me awake. My heart melted as I stared at his handsome profile. "How are you, my love?" "I feel better than before, thanks. Why am I naked"? I looked at Richard critically. so much in love with this guy. "You told me to trust you. misconduct the previous day" he assured. Richard sighed. "She was dressed inappropriately. NEXT EPISODE DROPS TOMORROW MORNING. A DIFFERENT NEW STORY STARTS TODAY BY 8PM. 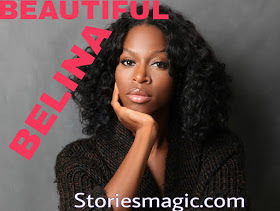 0 Response to "STORY:BEAUTIFUL BELINA (Season 2, Episode 28)"